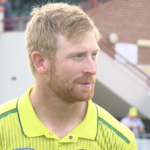 Heinrich Klaasen spoke to the media after the Proteas’ T20 warm-up match against a Cricket Australia XI ahead of Saturday’s one-off T20I against Australia. 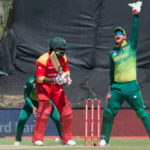 Heinrich Klaasen enjoyed a good match behind the stumps, taking three catches, a smart stumping and scoring 59 against Zimbabwe in Paarl. 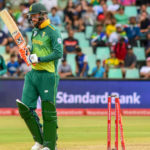 Wicketkeeper-batsman Heinrich Klaasen is acutely aware of an inferior position in the Proteas’ pecking order, despite striking a match-winning innings in the first ODI against Zimbabwe at the Diamond Oval in Kimberley last week. 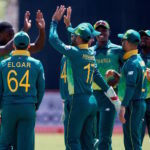 SACricketmag.com’s KHALID MOHIDIN rates the Proteas’ performances in the first ODI against Zimbabwe at the Diamond Oval in Kimberley on Sunday. 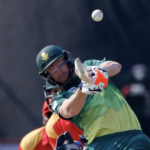 Although the Proteas’ chase in the first ODI against Zimbabwe in Kimberley left much to be desired, Heinrich Klaasen’s two massive sixes are our pick for Play of the Day. 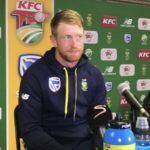 Heinrich Klaasen rates the Titans as one of the best franchises in the world because of the number of international players they produce. AB de Villiers says he took tips from Heinrich Klaasen in the off-season to improve his batting. 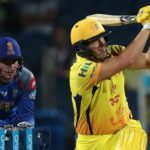 Shane Watson’s brilliant 106 built a mountain that the Rajasthan Royals could not climb to give the Chennai Super Kings a 64-run victory in Pune. 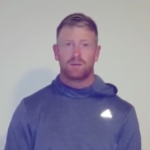 Heinrich Klaasen’s message to the Rajasthan Royals ‘ fans. 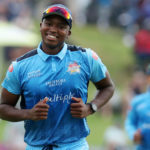 The pressure is on AB de Villiers and Lungi Ngidi in the IPL which kicks off Saturday – at both ends of the scale. 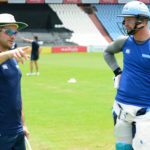 Titans wicketkeeper Heinrich Klaasen has been rewarded for his white-ball form by being included in the Proteas’ Test squad to face Australia. 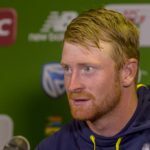 Heinrich Klaasen says that Quinton de Kock has nothing to fear regarding his position in the side. Heinrich Klaasen addresses the media after scoring his maiden T20I half-century for the Proteas.